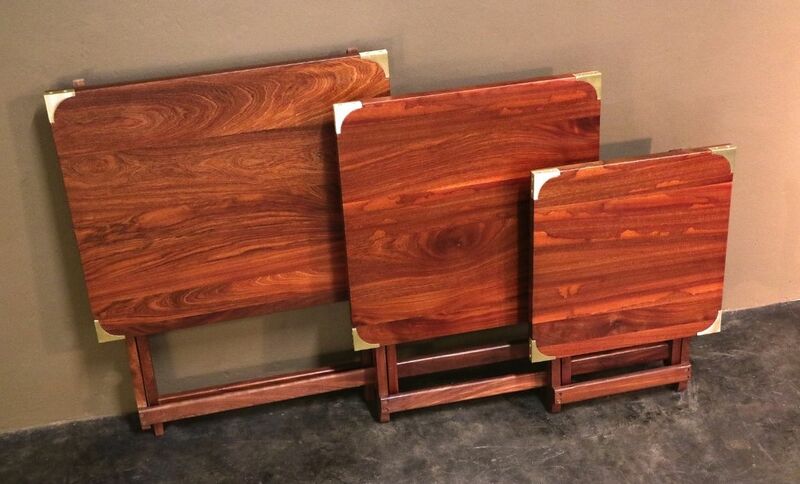 The African Touch Campaign Folding Tables are a beautiful, classy piece reminiscent of days of old when British Officers travelled in style and had the finest furniture pieces hand made for them by master craftsmen. The solid brass corner blocks not only protect the table from knocks and bumps but give it a beautiful, old world feel. This piece will grace any stately home, safari lodge or boardroom with elegance. A canvas and leather trim carry bag is an optional extra. The material used to construct our Campaign Tables is an exceptionally fine African hardwood of beautiful grain and colour. Its name, Bloodwood, derives from the streaks of red often seen in the mixed brown and honey grain. African Bloodwood (Pterocarpus angolensis) aka Kiaat or Mukwa. 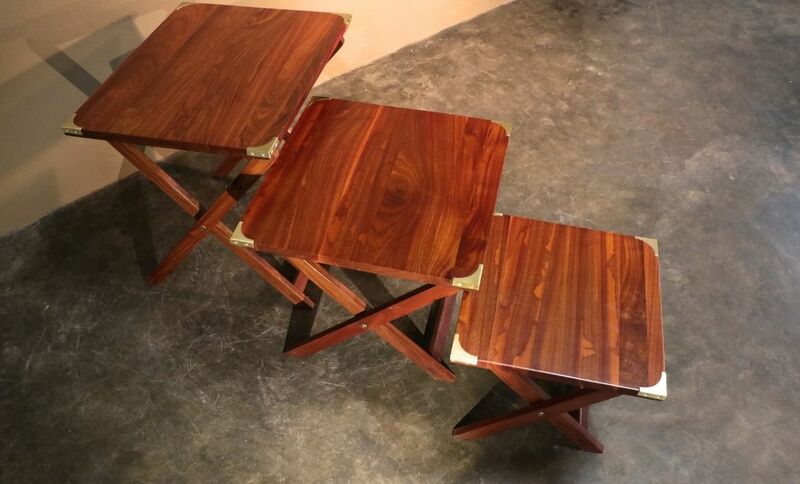 A lighter hardwood than Zambezi Teak, but with excellent working properties. The standard finish for our Campaign Folding Tables is an oil finish, ideal for an outdoor environment. Your Expedition Tables will be carefully packed in a double walled cardboard crate, padded with air-o-thene foam. Enquiries and orders: Safari Director’s chairs are normally available ex -stock, but please allow a couple of weeks for the covers of your choice to be made up. More than 10 tables – 10%.